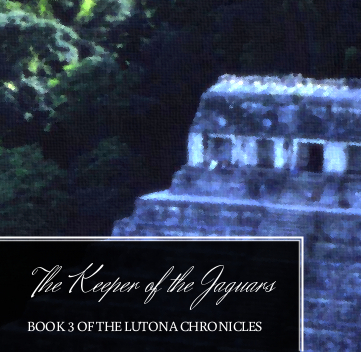 The Keeper of the Jaguars is the third book in the young-to-mature-adult fantasy trilogy The Lutona Chronicles. Author and artist B.A.Klemetti guides the readers through shifts in place and time, as ancient rites are relived and a long-unknown secret is revealed. Does the Journey End or Begin? The Keeper of the Jaguars starts exactly where Traces is the Dust ended. When the team transports with their precious cargo from the planet Zeoterron to return to Lucienna's planet of Lutona, they land somewhere no one, not even Lucienna, can accurately identify. A series of mysterious clues leads them all toward individual challenges that each member must overcome in order for the team as a whole to succeed. As the quest continues, time seems to turn back upon itself and space seems to transform, requiring the reader to set aside convictions about reality. How will the discoveries the heroes make about themselves and their surroundings alter their success or failure? What surprising truth does Lucienna learn about herself?